Worried about termites or termite damage? We have over 20 years’ experience taking care of them. Independent surveys show on average 34,000 homes each year are attacked by termites. Unfortunately the average cost of damage is $10,000. Termites (sometimes known as white ants) are active throughout mainland Australia with homes in most areas at risk. For this reason you cannot insure against termite damage. The good news is we have a range of specialised termite protection packages and white ant treatments which comply with the rigorous requirements of Australian Standard AS 3660.2 – Termite Management. For a no pressure quote and free advice please call us, fill out the Make an Enquiry form or contact your local Termitrust Service Centre. Early detection and treatment of termite activity is vital to minimising the damage caused by termites. We recommend yearly inspections of your home and property by our experienced pest controllers. A timber pest inspection includes inspecting for termite activity, other timber damaging pests and fungal decay. An inspection is a small investment to provide peace of mind, and compared to the cost of repairs from termite attack. Click here for more information about our termite inspections. Our termite protection packages are your best and most effective defence against termites. We have options to suit your budget and situation. For homes without a physical termite barrier, treating the soil around the perimeter of the house will help reduce the likelihood of termite entry through the cavity in outside walls. The treated soil is a deterrent to termites and depending on the type of chemical it can also kill termites. These are again used in homes without a physical termite barrier. This involves laying a pipe (similar to poly-pipe used in irrigation) in the soil around the perimeter of the house. The pipe has emitters and when liquid termiticide is pumped through the piping the chemical is distributed into the soil. The treated soil becomes a deterrent to termites and depending on the type of chemical can kill termites. These provide a non chemical termite protection option and do not involve soil treatments. Stations are placed in the ground, around the perimeter of the home and are designed to control termite activity with the objective of eliminating the entire colony. If you do have active termites on your property they can be treated with what is called a “spot treatment”. These liquid termite chemicals are normally used for an external termite problem and are applied directly on to the active area, immediately killing the termites. This method, although not common, is used when heavy termite activity is discovered. 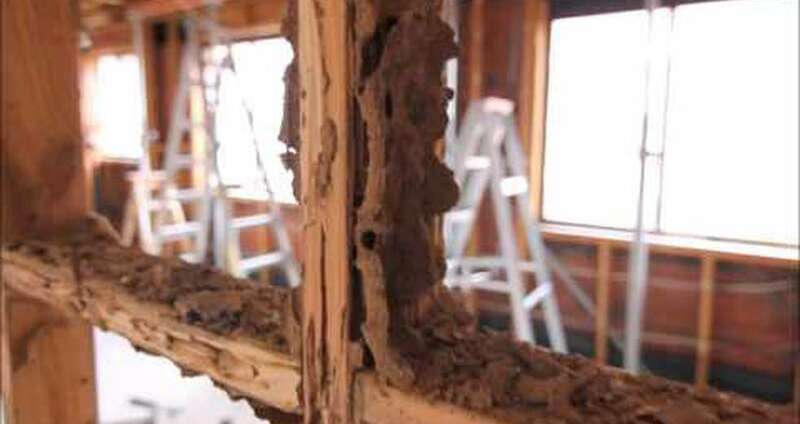 It involves application of a fine dust to infested timbers and/active termite leads. The dust is toxic to termites and is slowly passed throughout the colony, leading to eventual elimination. For further information about the above range please visit our Termite Treatment page.